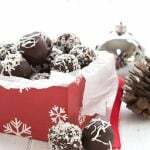 Low carb dairy-free rum balls are a holiday classic made healthy! Made with organic chocolate and coconut, they pack a delicious punch. These delicious keto rum balls are perfect for gift-giving. This post is brought to you in partnership with Safeway. You know those foods that flood you with nostalgia and a warm remembrance of happy childhood days? 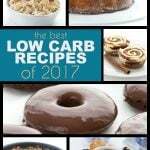 These Low Carb Chocolate Rum Balls are that food for me right now. Biting into one of them is like stepping back through time to Toronto, circa the 1980s, during the holidays. Rum balls were always on offer because a family friend always made them. I remember holiday parties at Garth and Michelle’s house, and a lovely tin of homemade rum balls on a side table near the tree. They always looked so enticing, rolled in chopped nuts or chocolate sprinkles. And every year, I got a surprise as I bit into one and that strong rum taste came through. I wasn’t sure if I liked them or not back then, but I always tried them. Can you picture it? We won’t go into the over-sized sweaters and big fluffed up bangs I may or may not have been wearing back then. Hey, it was the eighties and I was a young teen. I was stylish for the times! But how fun it was to recreate those old memories with my own keto rum ball recipe. 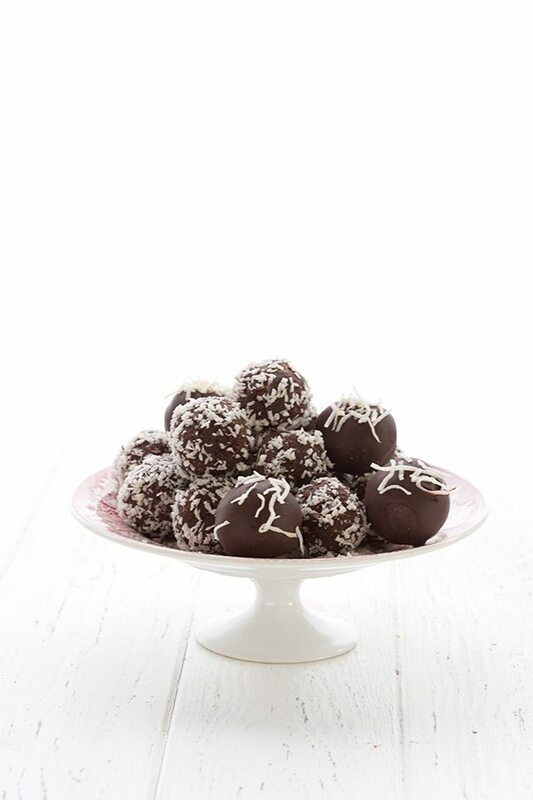 A healthy version of those little chocolate truffles that used to call my name. When I set about to re-make this little bit of my childhood, I hit my local Safeway for supplies from the O Organics® line. I was delighted to discover that they now carry a number of baking essentials that are perfect for sugar-free holiday recipes. 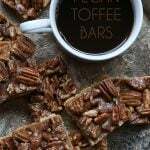 Organic 100% chocolate baking bars, organic unsweetened shredded coconut, organic vanilla extract, and organic coconut oil, all with the great quality and reasonable price I’ve come to expect from O Organics. 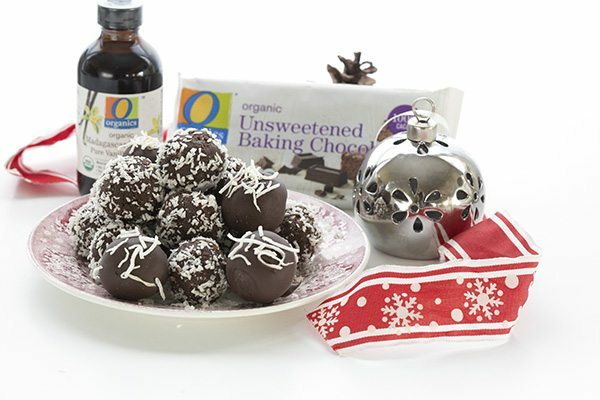 I wanted to make a dairy-free version of this holiday classic treat, and used both the coconut oil and the shredded coconut in the truffles themselves. Then they got a nice little roll in more shredded coconut. I was very impressed by the quality of the unsweetened chocolate, as it melted smoothly and wasn’t prone to seizing. The whole mixture does become very thick as you add the rum, and that’s part of what gives it structure. You could really use any liquid you want here in place of the dark rum. If you want to play up the coconut flavor, try coconut rum. Or coffee liqueur. Or brandy, whiskey or bourbon. 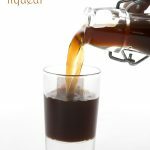 For a non-alcoholic version, try just plain old water with a little rum extract. The rum flavor of these is very strong at first but it mellows out as they sit around for a few days. Did you know that Albertsons and Safeway now have a grocery delivery service available in many areas? I got a chance to try it out in October and it was fantastic. I could pick my delivery day and time even down to the hour. They had a vast array of ingredients available and the driver was courteous. He actually called ahead to let me know he was on his way and all of my groceries arrived in perfect order. So now I don’t need to leave the comfort of my own home…this could be very dangerous! Want to try it out for yourself? They have a great holiday offer of $25 off plus Free Delivery on $100+ orders. Use code SEASONSEATINGS. This coupon code is valid until January 14, 2018. I love that Albertsons and Safeway are making organic products more accessible and available at great value. 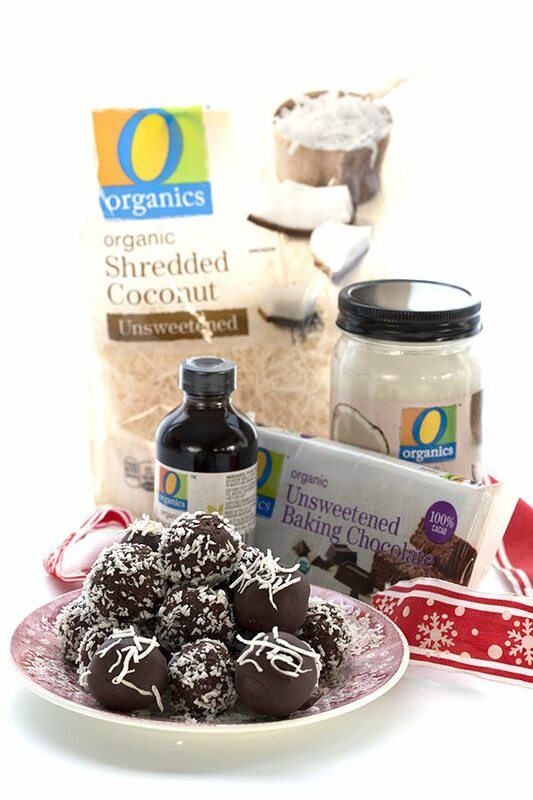 From chicken and beef to produce to the aforementioned baking products, their O Organics line, available in my area exclusively at Albertsons and Safeway, helps make my holidays happy and healthy. If you don’t live near an Albertsons or Safeway, check out the O Organics line available at all Albertsons Companies family of stores including ACME Markets, Jewel-Osco, Vons, Pavilions, Randalls, Tomb Thumb, Shaw’s, Star Market, United, United Express and Carrs/Safeway. Low carb dairy-free rum balls are a holiday classic made healthy! Made with organic chocolate and coconut, they pack a delicious punch. These delicious keto rum balls are perfect for gift-giving. In a heatproof bowl set over a pan of barely simmering water, combine the chopped chocolate and the coconut oil. Stir until melted and smooth. Remove from heat. Whisk in the sweetener until well combined, then whisk in the dark rum, vanilla extract, and salt. The mixture will thicken considerably when adding the liquid. Add the almond flour and shredded coconut and stir in until the mixture forms a cohesive dough. Roll the dough into 1 inch balls. If you are using shredded coconut to garnish, roll them immediately in shredded coconut. 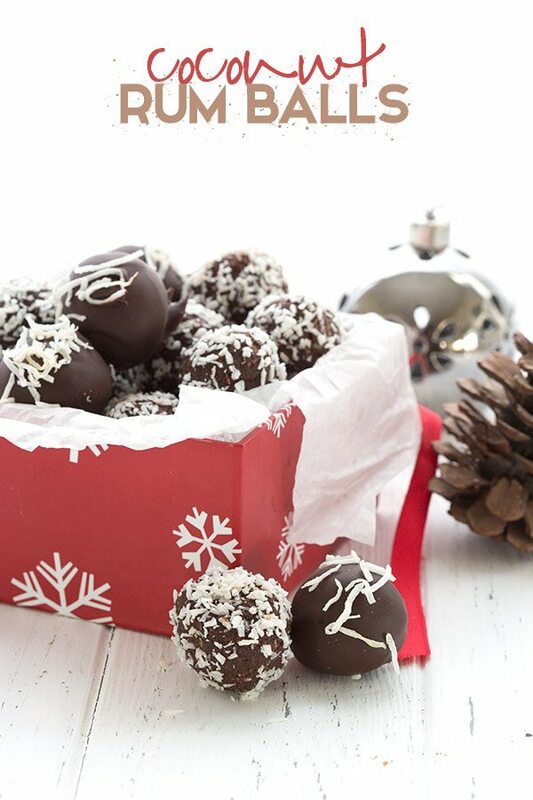 To dip in chocolate, place the rum balls on a waxed paper lined tray and freeze for at least one hour. Chop the sugar-free dark chocolate and melt with a little coconut oil to thin it out (for dipping half the rum balls, you would need about 3 ounces chocolate and 1 tbsp coconut oil). Drop a frozen rum ball into the melted chocolate and use a fork to roll it around to coat. Lift out and tap the fork firmly against the side of the bowl to remove excess chocolate. Return to the wax paper and sprinkle with a little shredded coconut. Repeat with remaining rum balls. Store on the counter for a few days and in the refrigerator for up to two weeks. Nutritional information is calculated for coconut-covered rum balls. Dipping them in chocolate would add about 1.5g carbs per serving (2 truffles). 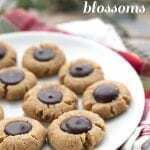 I’m making these for a baking party I’m going to on Saturday. This made my decision! We also have a vegan in our family who will be there, so this is really nice for her, too. Sounds like making them at least the night before will help meld the flavors together…..thank you! You can do butter and more almond flour instead. Here you go! http://amzn.to/2APBh9J I am not sure how much stevia glycerite. The monk fruit is pretty strong and sweet so it sweetens a lot! I don’t have monk fruit extract – how much “more swerve” should I use? Thanks!! No, just wait…they mellow after a day or two! I dont do alcohol, how much rum extract would i use or can i use rum extract instead? 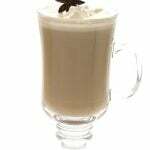 Use the same amount of liquid with water and if you want the rum flavour, try 1 tsp of the extract. I don’t do alcohol and I can’t find rum extract either. 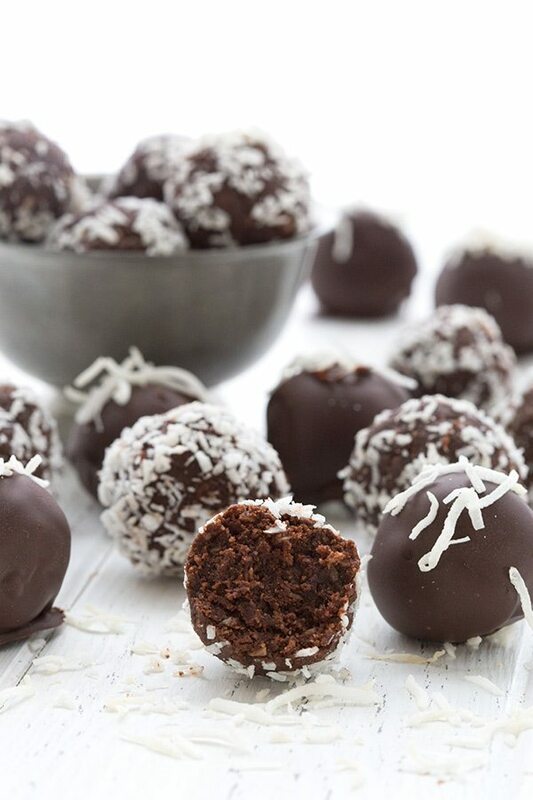 But the idea of eating coconut chocolate balls sounds absolutely heavenly. Can I just leave out the 1/2 cup rum or do I need to substitute it with something else for the chocolate balls to turn out right? There are instructions in the post about how to replace it. I made these for my daughter for Christmas and she loved them! I had one the day I made them and worried they would be too strong but when I have them to her a couple days later they were just right. Definitely will be a yearly holiday treat in our family. I am sure you can but no, I am afraid I don’t have a recommendation. There is coconut flavored rum. We make these every year, and they’re always a huge hit. 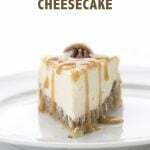 I made these today and I cant stay out of them… seriously so easy and so darned yummy! Ok, these are freaking amazing! Love! Some of my favorite ingredients! YUM, Thanks!! These were incredible! Thanks for the delicious recipe! Oh! I just found your blog today! So glad because Safeway is the only grocery store in our tiny Alaskan town. 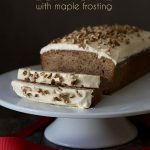 So, it’s good to know that I have a Keto recipe reference that uses the ingredients I’m able to buy. I have a question though. My husband has a nut allergy and can’t have almonds. 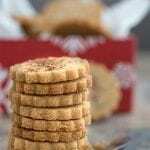 How much coconut flour would I be able to use instead of the almond flour? I haven’t used coconut flour in this recipe but usually you would only use 1/3 the amount. You could also try sunflower seed flour (basically ground sunflower seeds) which you can use cup for cup with almond flour.